"The Smile of the Child" operates Mobile Medical Units of Intensive Care for newborns and children carrying out transfers nationwide and at a cross-border level as requested. 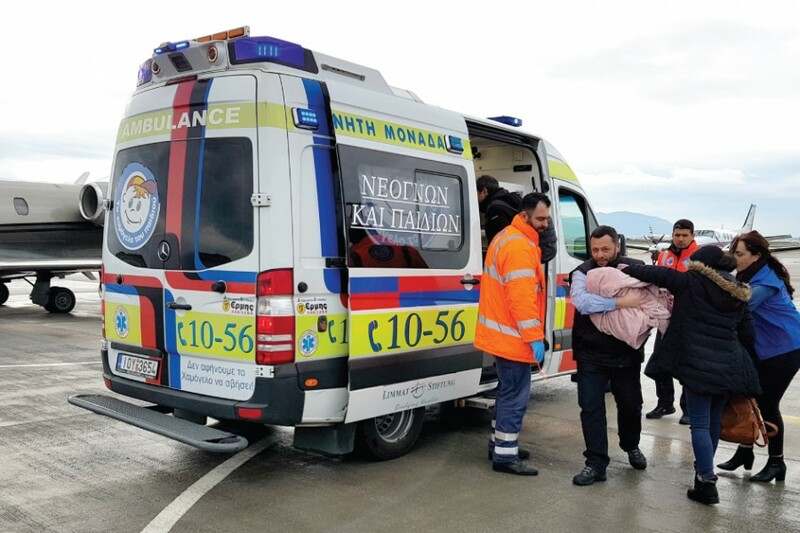 The Organization sets at the disposal of children and National Ambulance System (E.K.A.V) a total number of 7 units based in Athens, Thessaloniki, Heraklion and Mytilene staffed by 29 specialized rescuers who are certified by EKAV. Provision of first aid to urgent medical cases. Transfer of children throughout Greece. Contribution to cases of missing children / amber alert. Contribution to emergency cases (e.g. fire). Independent incubators with their own monitor, ventilator, manometer etc. Our units are certified from the European Union. It is worth noting that the specifications of the Units exceed the guidelines set by the American Academy of Pediatrics. "The Smile of the Child" operates Mobile Medical Units of Intensive Care for newborns and children since 1997.